When I read Chelsea McDougall’s heartfelt article about her father’s and mother’s work in Haiti and her trip to the area of the mission, I immediately thought of the huge food packing project by the Salvation Army at the old Cub Food store next to the old Walmart. That was two years ago this month. 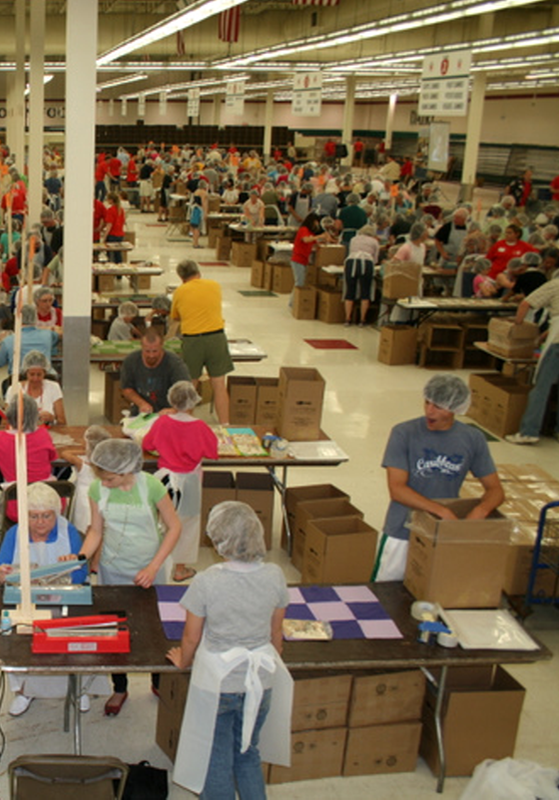 Cub Foods was packed for the 2010 Salvation Army-sponsored Haiti food packing. Somewhere I had heard another Crystal Lake effort was to be made to help feed Haiti, but couldn’t remember where. Two Sundays ago I discovered that it was my First United Methodist Church that was putting together such an event. It will be at Hannah Beardsley Middle School on Sunday, August 19th. Preparing the food packets will replace our 9:30 and 11 o’clock services. 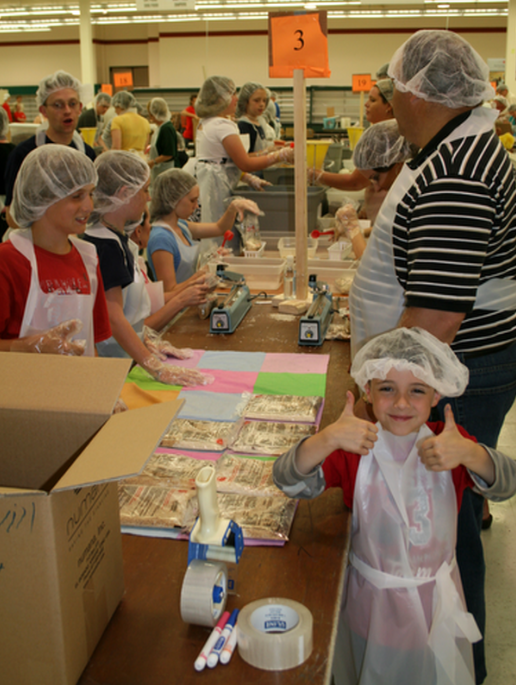 As you can see from the 2010 photo below, really young people can play a role. This young boy had the role of pounding the Haiti food packets to flatten them out and to test the seal. They usually pound the food packets to flatten them out. The pounding also tests the seal on the plastic packet. Having been so impressed at the widespread community involvement, I asked the young man who explained the project’s goals, as well as our Senior Pastor Steve Bullmer, whether we were going to involve other churches. It’s a relatively short timeline, but it can be done. Indeed the Methodist Church is growing most rapidly in Africa. The current vision is to meet at 9:30 on August 19th instead of going to church services. No real reason that it could not be extended to cover the whole day with enough volunteers. “Our desire is that people of all ages will join in and make a difference here at home in Crystal Lake and make a difference miles away in Haiti. I asked how much it cost per food packet, which feeds a family for a day, and the answer was 25 cents. Those who can’t help out physically, can do so by sending a check to FUMC of Crystal Lake at 236 W Crystal Lake Ave. The phone number is 815-459-0785. Eric Secker is the contact person for the project. His number is 630-808-1947.